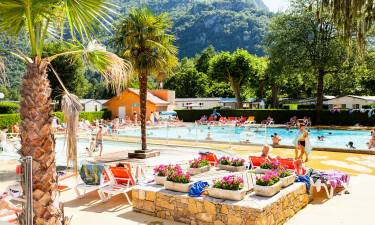 Le Pré Lombard is a luxury camping site that can be found at the gateway to the picturesque Ariège Pyrenees mountains in France. Nature lovers who also enjoy luxury camping are sure to be in their element here as everything is provided for guests including bicycle hire that they can use to explore the surrounding area in style. People who choose to stay in a mobile home at will also find laundry facilities and a wide range of sports facilities that are just waiting to be enjoyed. What Makes Le Pré Lombard So Special? 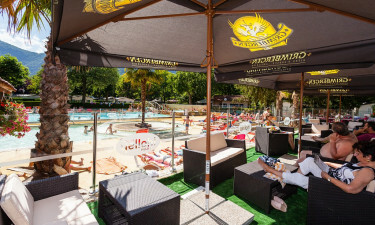 This leading LUX-camp is situated beside the gently flowing River Ariège, which is the perfect place to relax and unwind for a while. 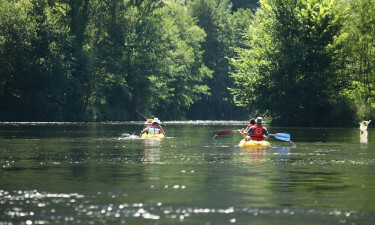 This enchanting river is the perfect place to catch fresh water fish and keen fishermen will be able to hire equipment at the site so that they can spend several peaceful hours simply soaking up the scenery while they wait to catch a bite. The children’s club is organised to give parents a break while the kids have fun taking part in a wide range of activities. This is a very safe environment that is watched over by specially trained staff, while children are also sure to enjoy playing in the well appointed play area and playing table tennis ether with their parents or with their new friends. Sports fanatics will be able to push themselves to the limit at the onsite sports courts and volleyball, badminton and basketball are all available here. 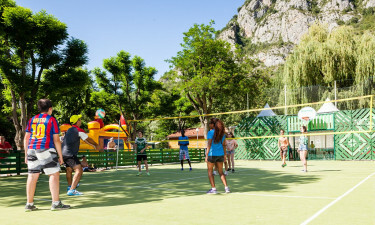 The fun and friendly atmosphere at Le Pré Lombard means that even those who arrive at the court without a partner should have no trouble joining a game played with the other guests. People who enjoy swimming will also be able to experience the pleasures of the water in a stunning natural setting when they splash around in the large outdoor swimming pool. The onsite snack bar is the perfect place to grab a bite to go during the daytime and there are items to suit all styles here. Le Pré Lombard also comes complete with an excellent restaurant where guests can enjoy freshly prepared French dishes at both indoor and outdoor settings. 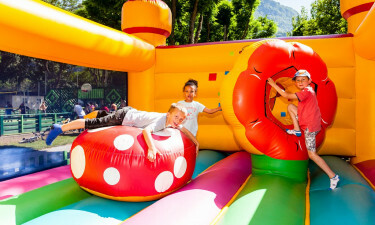 A special programme of events is organised by the staff in the evenings to make sure that guests are treated to a camping holiday that they will never forget. The onsite mini market comes complete with a bakery where guests can purchase freshly baked bread and croissants to enjoy each morning. This mini market also features a large selection of groceries that guests can purchase to prepare their own meals and snacks as well as newspapers and a selection of other types of recreational reading material.